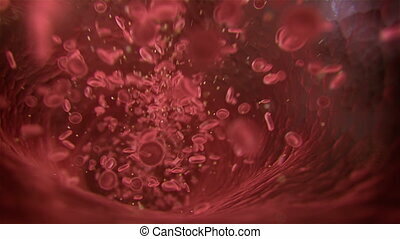 Blood cell inside human pulsing vein,flow obstruction. 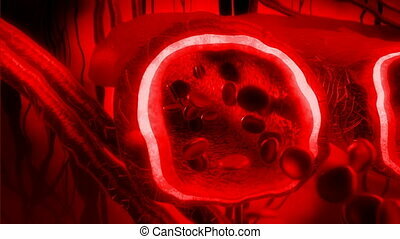 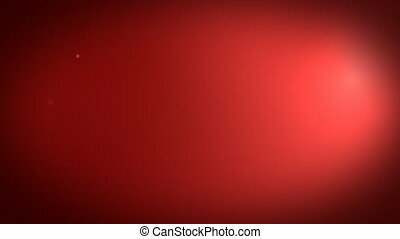 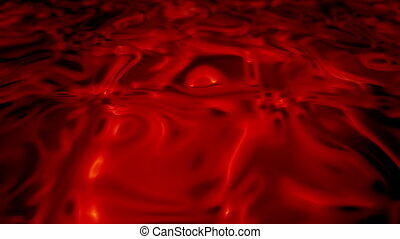 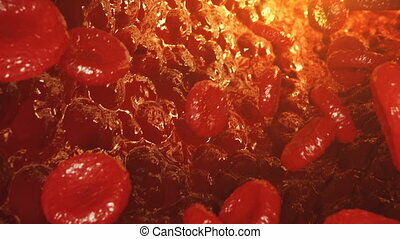 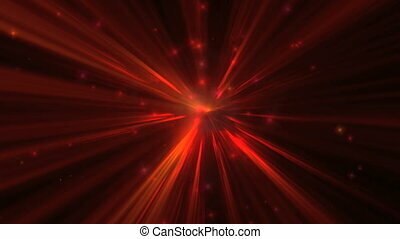 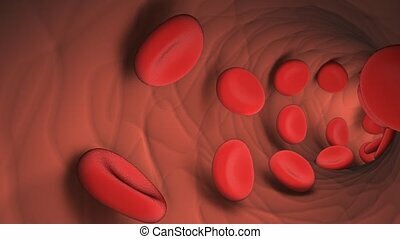 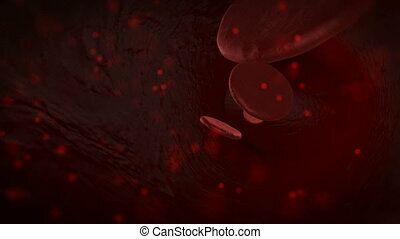 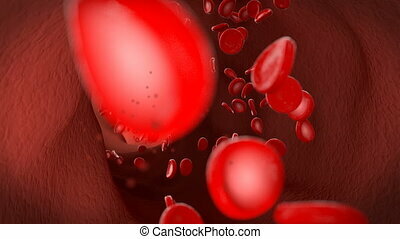 3D animation of a flow of the red blood cells and erythrocytes through a human vein. 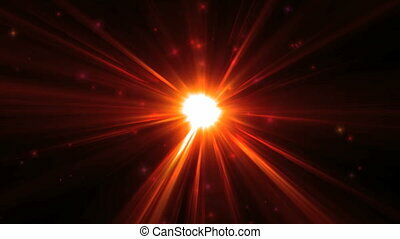 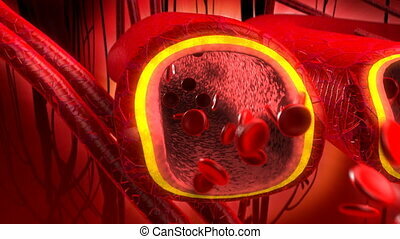 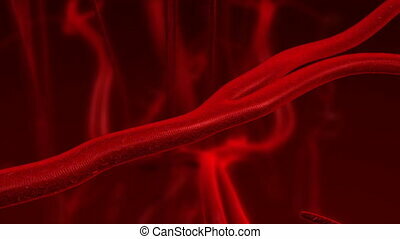 An artery or vein pulses, shrinks and expands from the body's blood pressure. 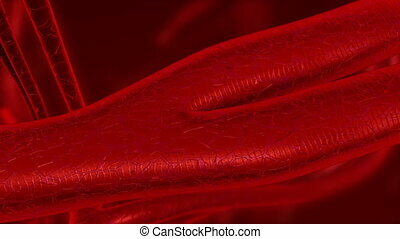 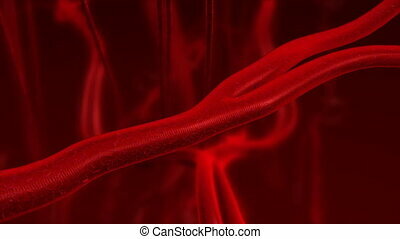 Human blood arteries and veins. 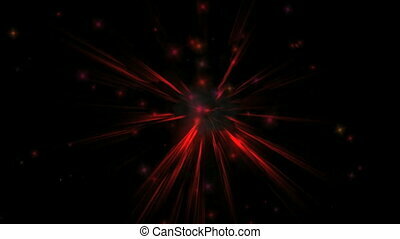 Zoom in motion.